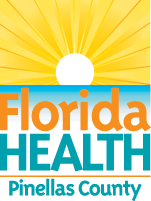 How can we ensure access to behavioral health services and improve behavioral health outcomes in Pinellas County? Behavioral health includes substance abuse, mental health, and violence among children and families. This health priority area is being addressed by strengthening the integration between behavioral and primary health care services, advocating for changes in policy and practices, and promoting awareness related to domestic violence. Goals, strategies, and objectives were developed by the Behavioral Health work team participants listed below and community stakeholders.